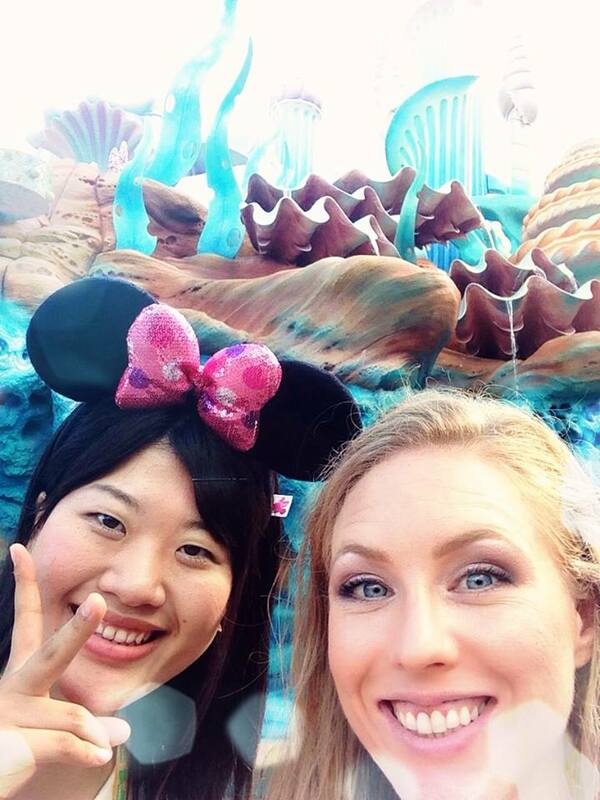 I had one goal I would not budge on when planning my trip to Japan: go to DisneySea. I set the precedent back in Los Angeles when I first met my Global East Asia classmates: “Hi, my name is Charlsie, and I am most excited to go to DisneySea in Japan.” The Meiji University students received very much the same introduction upon our first meeting. Luckily, from both the Meiji and USC students, I received positive feedback in the form of excited gasps, giggles, and a few high-pitched squeals. Together, we scheduled a full day for DisneySea, and thus Operation Storm Disney was set into motion. In the days before our visit, I shopped around Harajuku to find a cute Japanese-inspired outfit, as I felt more free and inspired to explore my fashion sense here than in the United States. When the day finally arrived, I rallied the troops and we started our long train ride to DisneySea. Much like the monorail at the Disneyland Resort in California, DisneySea has its own train equipped with Mickey-shaped windows to transport us from the public station. 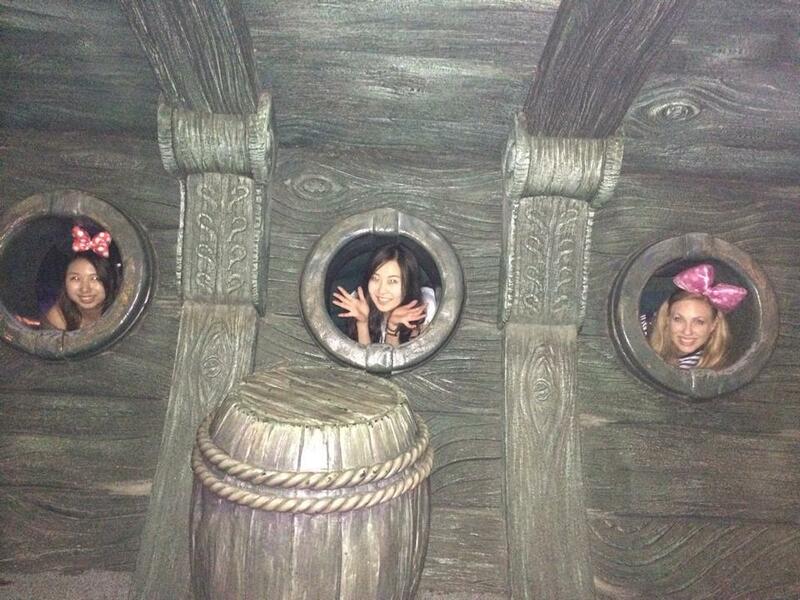 Inside, instrumental versions of Disney songs played, and we all willingly sang along. At last, the train stopped and we were finally at our destination. Although a Premium Annual Passholder to the Disneyland Resort, I found DisneySea to be an entirely new atmosphere, park, and side of Disney. The attention to detail and design took my breath away, and the rides utilized different technology and visual effects that returned that nostalgic feeling of experiencing Disneyland for the first time. 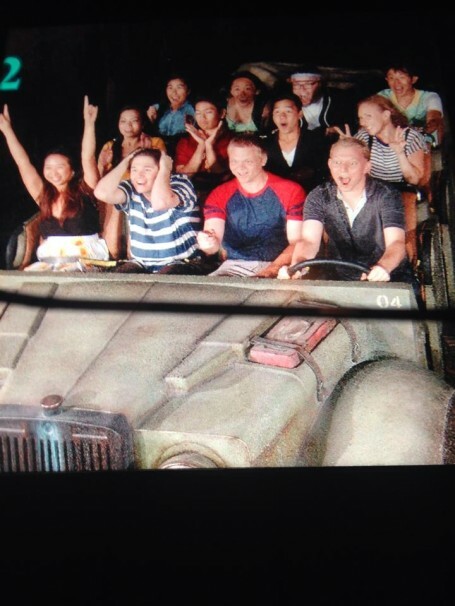 The most impressive rides for me were Journey to the Center of the Earth, Indiana Jones and the Temple of the Crystal Skull, and 20,000 Leagues Under the Sea. Additionally, even though Mermaid Lagoon is full of toddler rides, it was one of my favorite places to visit because it had Ariel’s Grotto (with Prince Erik statue) and a perfect ambiance that transports all patrons to the bottom of the sea. DisneySea also has its own version of the California classic show Fantasmic. The show, boasting a larger body of water than its US counterpart, incorporated more pyrotechnics and floats for a must-see experience for both experienced and beginner Disney patrons alike. The only part I found disappointing was the food selection. I missed the Gibson Girl Ice Cream Parlor and the large variety of Disney-themed caramel apples. To be fair, DisneySea did have a large and exciting selection of fresh popcorn throughout the park, with flavors like curry, strawberry, and caramel. It also offered snacks catered to a Japanese palette; for example, instead of ginormous turkey legs, they offered pork gyouza. The best part of the day, however, was the group of people I went there with. 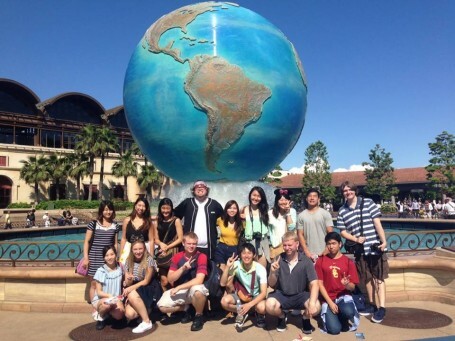 The Meiji and USC students all shared my enthusiasm and they were determined to make the day a memorable one. Even the monsoon-like rain could not ruin our day. The Japanese guests inside the park wore interesting and cute outfits, mostly Disney-themed, which played to my people-watching addiction. 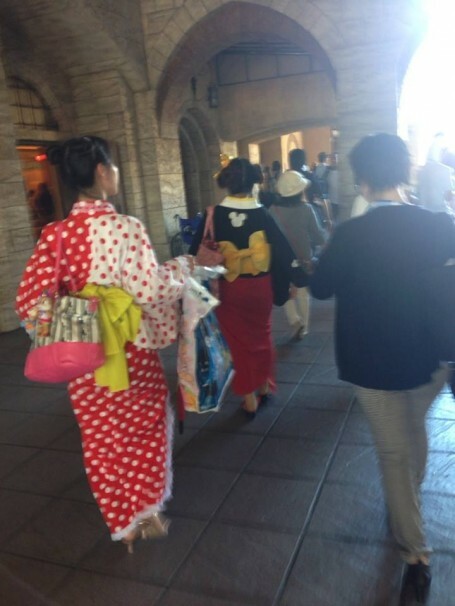 Some girls even wore yukata since DisneySea shoots off fireworks at night. Japanese yukata, frequently mistaken for kimono, are lighter than kimono but generally are assembled in the same way and are often worn at festivals, especially if there are fireworks (a Mickey-themed one is pictured above). The highlight of my day, however, was when a young boy and girl in front of me did an immediate double-take in my direction as soon as I entered the line behind them. They flashed me the biggest smile and waved as their eyes seemed to grow with wonder at my appearance. They stared for a while and then turned back and started whispering to their mothers. I thought the encounter was finished until the boy and girl turned toward me, smiled again, and said, “Hello, it is nice to meet you,” in unison. My heart almost stopped in that moment of overwhelming cuteness, but I managed to return the greeting and compliment them on their English. This entry was posted in Exploring, Tokyo by geajapan. Bookmark the permalink.